Happy Friday and welcome to another episode of #ThatBusinessShow with your Host, Jamie Meloni! We want to thank you for joining us on another great week of #ThatBusinessShow! Airing every weekday at 8am on #1250am whnz, we invite local businessmen, entrepreneurs, professionals, and people who have a story to share to come on the #MorningAir and tell their story to our listeners. If you want to come on the show, head to http://www.tampabayradio.com and fill out the contact form and we will see if we can get you on a #MorningWithMeloni! Today on #ThatBusinessShow, we welcomed David Chichester, CEO of Florida Funders. We also invited Steve O’Brien, Child Psychologist and Creator of the Life at Home app. We also had Tara Knauss-Wilga and Kristen Seeley with Wine, Women, & Shoes! We had a lot of great information on the show, and if you missed this episode of #ThatBusinessShow, then head to http://www.tampabayradio.com to listen to any show on demand! We have also had many business professionals on the #MorningAir, and you can find our guest list on the site, and we encourage you to use that list for all of your business needs! Remember, #ThatBusinessShow is on every weekday at 8am on #1250am whnz! 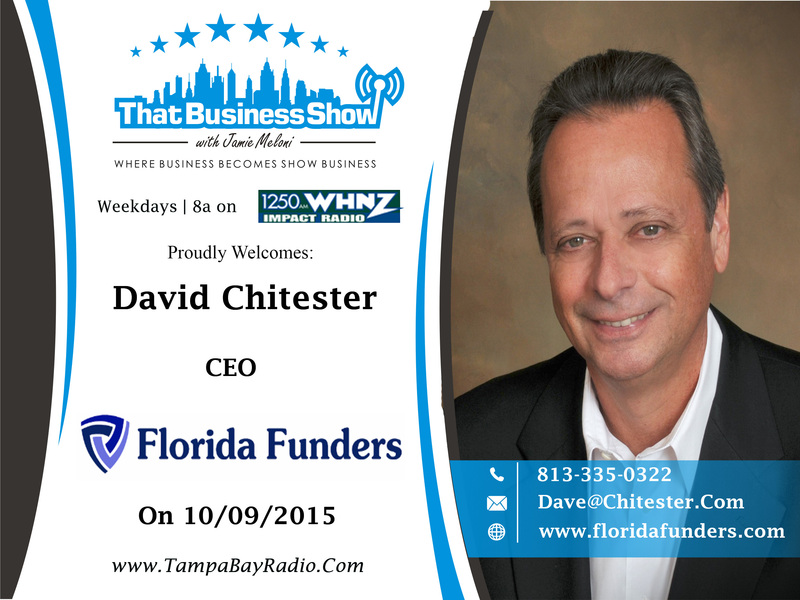 Coming on first on #ThatBusinessShow was David Chichester, CEO of Florida Funders. Florida Funders is a Tampa-based company that connects local businesses with investors and financing. David came on the show to inform our listeners of the Uber Pitch that is going on today in Tampa from 11 a.m. – 2 p.m.! He tells us that from that time, select Uber drivers will host an entrepreneur in their car for any local business professional who seeks investment to give their pitch and seek to secure an investment to start their business in which otherwise may not be possible, therefore #HelpingOurCity! Florida Funders welcomes Florida based entrepreneurs searching to start their business to their network of investors! If you want to learn more, head to http://www.floridafunders.com! 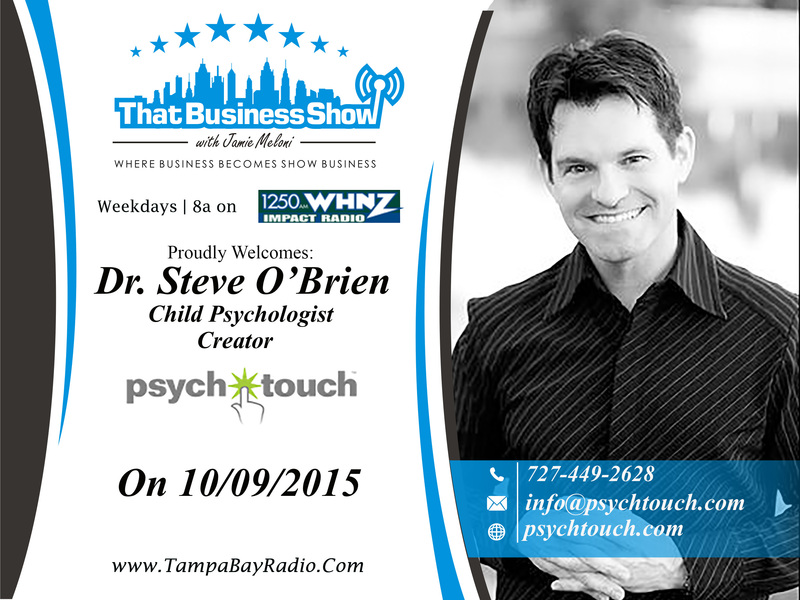 Steve O’Brien was welcomed next on #ThatBusinessShow , and he is a child psychologist with Psych Touch. Psych-Touch, LLC, is a new company with a vision to provide contemporary tools which integrate psychology and touch-screen technology for understanding and assisting children and the adults in their lives. Psych-Touch strives to develop instruments which, while psychological in nature, can be administered and interpreted by professionals in mental health and other child-related fields. Steve told us about his new app, Life at Home! You can find the app on the Apple and Android app stores. If you want to learn more about Steve O’Brien and Psych Touch at http://www.psychtouch.com! Our next guests on #ThatBusinessShow were Tara Knauss-Wilga and Kristen Seeley. They are both with Wine, Women, and Shoes, a fundraising event that has raised over $80,000 in Tampa Bay for children’s and woman’s cancer research and development. Wine, Women, and Shoes is a large event, expecting over 550 people to attend! There will be dancing, a silent auction, a fashion show, and a shoe competition for women! (And yes, men can attend!) Find out more at http://www.winewomenandshoes.com! This entry was posted in Articles, Entrepreneurship and Business and tagged blog, business, entrepreneur, show business, word, work. Bookmark the permalink.